First, kids trace lines on this prekindergarten writing worksheet to strengthen the fine motor skills needed to form the letter A. Then they trace the letter A! 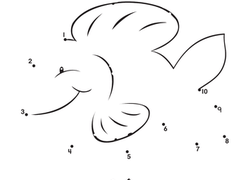 Butterflies are one of the most amazing and beautiful insects, and now they can even teach counting, too. Does your child know how to write the whole alphabet? This trace-and-write exercise covers all the letters from A to Z! Learning your ABCs is a snap with this fun dot to dot coloring page featuring a dog in a doghouse. Shapes! Your child's fine motor skills can improve as she carefully traces the circles, squares, triangles and rectangles in this worksheet. Students must demonstrate an ability to identify the numbers 0-10 to complete this maths assessment activity. Help your preschooler learn the alphabet and practise letter A sounds all while having fun and coloring! Say goodbye to boring writing practise with this colorful uppercase letters worksheet that helps improve kids' form and hand control. 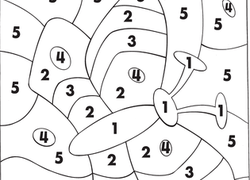 This valentine colour-by-number is a great holiday activity for preschoolers. 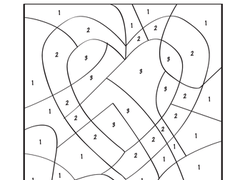 Try this valentine colour-by-number to celebrate the holiday with numbers. This little worksheet packs a lot of learning: not only do kids practise sounding out and building words, they get a little writing practise, too. 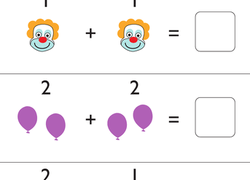 Kids practise adding single-digit numbers and writing the sums on this circus-themed year one maths worksheet. Is your child a coloring champion? 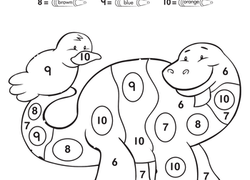 Kids will have a blast practising colour and number recognition while working on their fine-motor skills with this fun worksheet that challenges them to match colors with numbers, then colour in an awesome dinosaur! This dino connect the dots has the alphabet for kids to practise their lower case letters and fine motor skills. 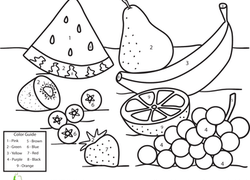 Here's a way to get your kid salivating for some healthy treats--a delicious fruit colour by number page. Colour in the cupcakes on the left side of the worksheet, count the number of cupcakes in each row, then match them up with the correct number on the right. First, kids trace lines on this prekindergarten writing worksheet to strengthen the fine motor skills needed to form the letter B. Then they trace the letter B! Help your preschooler learn the alphabet and practise letter B sounds all while having fun and coloring! What's hiding behind those pesky numbers? Connect the dots from the numbers 1-10 to find out! Help your year one students practise good reading habits by using this handy reading checklist. Winter addition will keep maths skills warm during the long chilly months. This winter addition worksheet helps ease preschoolers into early maths concepts. In each group, one word doesn't sound like the others. When your child sounds words out, he's teaching himself the building blocks of spelling and reading!